Hello!! Welcome to Simple Stylish Makes, your online portal to all things creative and crafty. After the success of Simple Stylish Knitting, we saw that there was an entire community of ‘new crafters’ who are learning to create modern, beautiful things for themselves and their family and friends. Whether you’re bored of what is available on the high-street, you want to add a bit of individuality to your home, or you want to give someone a handmade gift from the heart, Simple Stylish Makes will bring you the latest creative trends so that you know who’s who and what’s what in the world of modern crafting. 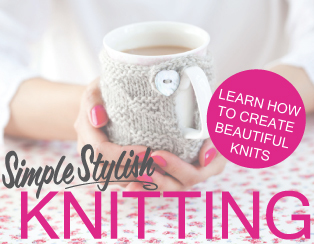 The Simple Stylish editorial team started this exciting adventure with the publication of Simple Stylish Knitting, a beautiful step-by-step guide to knitting. By following the steps in this exciting series you will make an absolutely stunning, modern, creative throw to snuggle up under on those (all too familiar) chilly evenings. The editorial team is made up of brilliant and amazingly talented crafters who live and breath creativity and together they put together a beautiful and inspiring selection of knits to wear, knits for your home and knits to give with easy to follow instructions. Creativity isn’t a job to the blogging team at Simple Stylish Makes, to some of us crafting is brand new and to others it is a lifestyle we have had for a long time, but it is equally important to all of us so follow us on our journey on our Twitter, Instagram, Facebook and Pinterest to see what inspires us, what we are learning and to see everything we have to share with this new community of makers! Don’t forget to use the hashtag #simplestylishmakers on all of your social media makes so that we can see what you’ve been making too. Sophie is the mastermind behind the beautiful blog Onetenzeroseven. 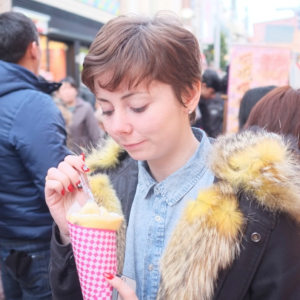 Sophie describes herself as a beginning knitter but is definitely not a beginner crafter. Her creativity and keen eye also makes her an amazing photographer and stylist so make sure you look out for her monthly “How To Style…” articles. Hello everyone! Thank you so much for joining the Simple Stylish Makes creative community, we are super excited to start this adventure with you. 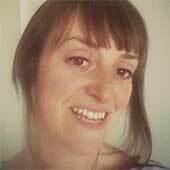 I’m Alice, I will be heading up the in-house Simple Stylish Makes team. I’m a very beginner crafter and, although I have always loved all things creative, lusted after DIY projects on Pinterest, and hung around the wool section of John Lewis wondering how I could justify spending a month’s wages on wool, I have honestly (and shamefully) never even picked up a pair knitting needles. So, lets grab our brand new needles, glue, hooks, and paint and start making! Don’t forget to hashtag all of your makes with #simplestylishmakers on social media so that we know what you’re up to too! 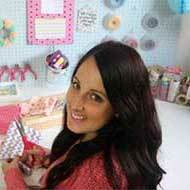 Claire is the brilliant crafter behind Claireabellemakes and is, without a doubt, one of the most hardworking crafters I have ever met. She hosts craft parties in Cambridge and sells stunning handmade items on her Etsy shop and is full of crafty information. 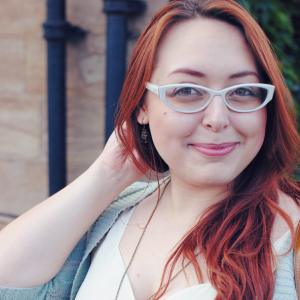 Joanna is the one woman band behind Adventures & Tea Parties, a handmade and creative lifestyle blog. Joanna definitely knows what craft trends are coming up and keeps us well informed with her articles for Simple Stylish Makes.